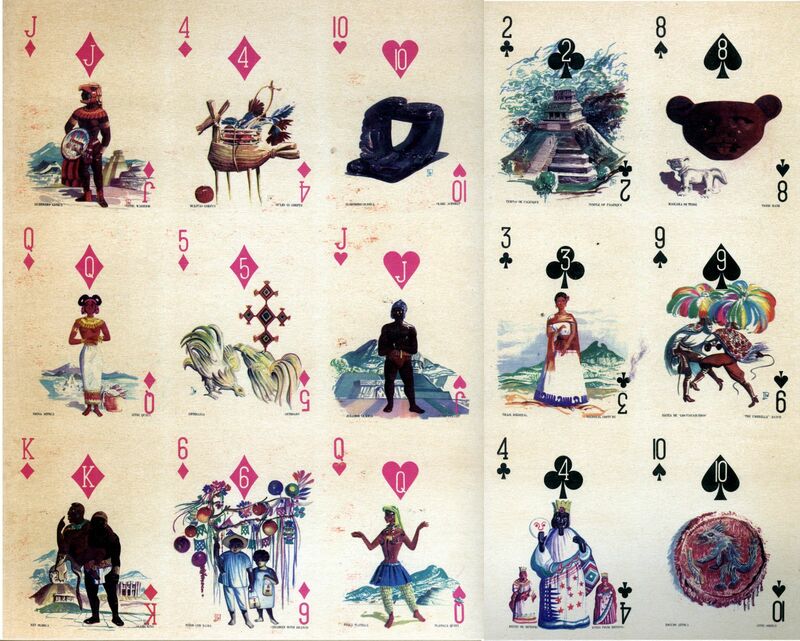 The images below show details from an uncut sheet of playing cards specially designed by Ramón Valdiosera Berman for Aeronaves de Mexico S.A., mid-1960s. The design of the cards features a single pip symbol at the top of each illustration with the numerical value indicated inside. Above & Below: details from an uncut sheet of a special pack for Aeronaves de Mexico S.A., designed by Ramón Valdiosera Berman, mid-1960s. 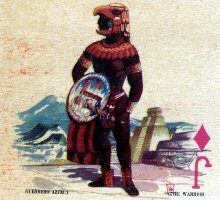 All the cards feature Aztec people and artefacts which are part of Mexican traditional culture.